The all-new frame is designed to lower the bike’s center of gravity and it also incorporates a dual-muffler exhaust system to further sharpen handling by centralizing the bike’s mass. A thoroughly revised engine adds a big load of midrange punch, thanks to a new cylinder head, new piston, higher compression ratio, plus a new dual-timing fuel injection system, and a new transmission that adds toughness and durability to the overall package. 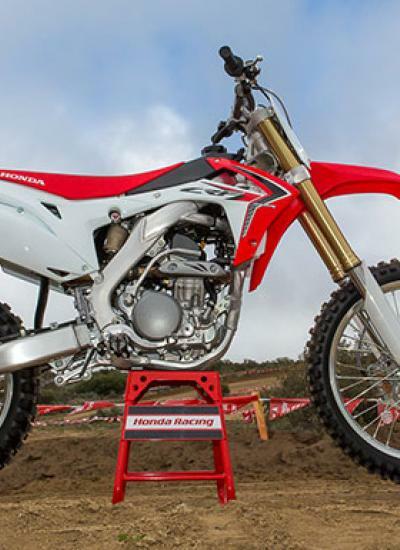 Put it all together, and the 2014 CRF250R will be ready for some serious motocross action sure to continue Honda’s championship-winning records in the class. A thoroughly revised 249cc Unicam® engine adds a big load of midrange punch, thanks to a new cylinder head, new piston and higher compression ratio. - A new Dual-Timing PGM-FI fuel injection system also helps boost power while also delivering better throttle response and control at partial throttle openings. A new transmission adds toughness and durability to the overall package. All-new short and compact dual-muffler exhaust system further sharpens handling by centralizing the bike’s mass. Developed by the factory racing team, the Honda Progressive Steering Damper is lightweight, compact and enhances cornering ability while reducing rider fatigue. 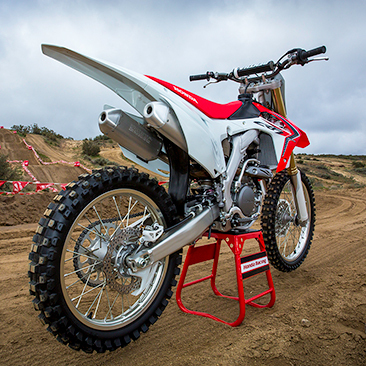 At the heart of the 2014 CRF250R's transformation is the aluminium beam frame that debuted on the CRF450R in 2013. The low centre of gravity and reduced turning inertia of the new chassis helps to improve the already stunning handling abilities of the CRF250R over the ground and also in the air. Internal improvements to the 48mm Showa inverted front fork are complemented by a compact new Showa rear shock, revised Pro-Link suspension and a redesigned aluminium swingarm. The true dual-function design of the front forks offers full compression and rebound-damping functions in each leg for balanced, proven performance. 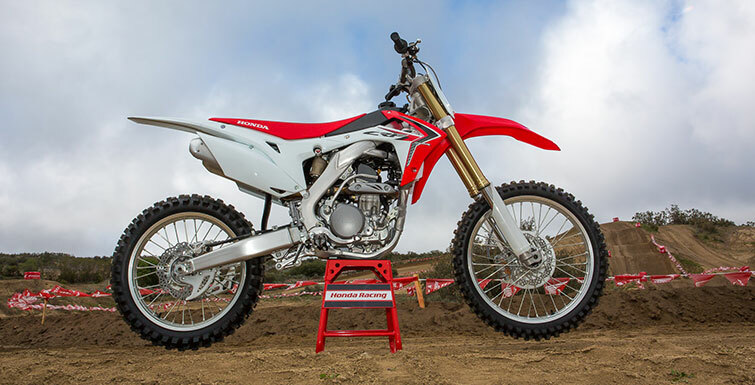 The new swingarm, linkage and Showa rear shock helps the CRF250R hook up better under all types of track conditions. Updated bodywork, better feel and control are guaranteed thanks to new rigid attachment points where the rider contacts the bike. The rear fender has a lift point with integrated support to make it easier to hoist the bike onto a stand. Fuel capacity is increased 6.3litres.